1-800-992-6978 (For suspected elder mistreatment in the home and in long-term care facilities). Individuals may telephone the state helpline listed above, or visit Map of Services by County Link to obtain specific county telephone numbers to directly report suspected elder mistreatment occurring the home. 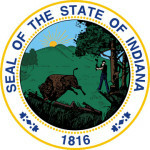 Visit the Indiana Ombudsman page to find specific area contact telephone numbers (see the bottom of the page).